Collins Booksellers - Nigel Benn - Dark Destroyer by Nigel Benn, 9781786065353. Buy this book online. NIGEL BENN is a powerhouse among boxers. Known to his fans as the Dark Destroyer, all of his first 22 professional fights ended with him knocking out his opponents - half of them before the first round was over. 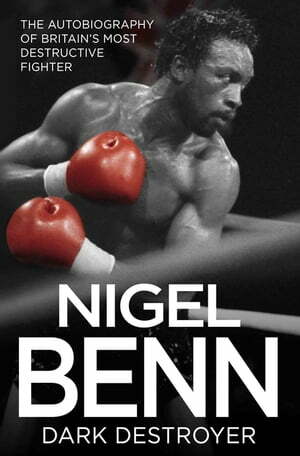 In this book, Nigel Benn tells it like it is. From the grim days he spent in the army in Northern Ireland, to his notorious battle with Chris Eubank. From the women of his past - including the girl who took his virginity when he was just twelve years old and the numerous women he has romanced since - to the love and support he has now found with his wife Carolyne and his adored children. Nigel also reveals all about the murky world of boxing politics; how the tragic death of his elder brother led him to psychotherapy; how the hypnotist Paul McKenna got Nigel's life back on track. From fighter to family man, this book explores the contrasts that make up the figure of a mighty world champion.